﻿ Welded Gabion - Welded Wire Mesh - Anping County Zhuoda Hardware Mesh Co., Ltd.
Welded gabion, a wire mesh fabric container, uniformly partitioned, of variable size, interconnected with other similar containers, and filled with stone at the site of use, to form flexible, permeable, monolithic structures such as retaining walls, sea walls, channel linings, revetments, and weirs for erosion control. Welded wire mesh fabric, material composed of a series of longitudinal and transverse steel wires arranged substantially at right angles to each other, and welded together at the points of intersection by electrical resistance welding to form fabricated sheets. Style 1, consists of welded wire mesh fabric made from wire which is zinc-coated before being welded into fabric. Spiral binders, lacing wire, and stiffeners are produced from zinc coated wire. Style 2, consists of welded wire mesh fabric which is made from uncoated wire and the fabric is subsequently zinc-coated after fabrication. Spiral binders, lacing wire, and stiffeners are produced from zinc-coated wire. 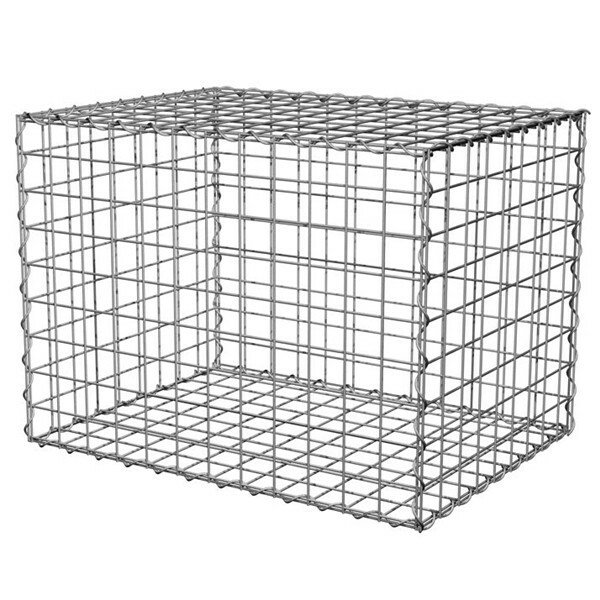 Style 3, consists of welded wire mesh fabric made from wire which is coated with zinc-5 % aluminum-mischmetal alloy (Zn-5Al-MM) before being welded into fabric. Spiral binders, lacing wire, and stiffeners are also produced from zinc-5 % aluminum-mischmetal alloy (Zn-5Al-MM) coated wire. 7 x 24 Hour Serivce, Our Goal is to Provide Customers with Excellent Support and Service. Copyright © 2007-2019 Anping County Zhuoda Hardware Mesh Co., Ltd. All Rights Reserved.